Download the app and start right away. 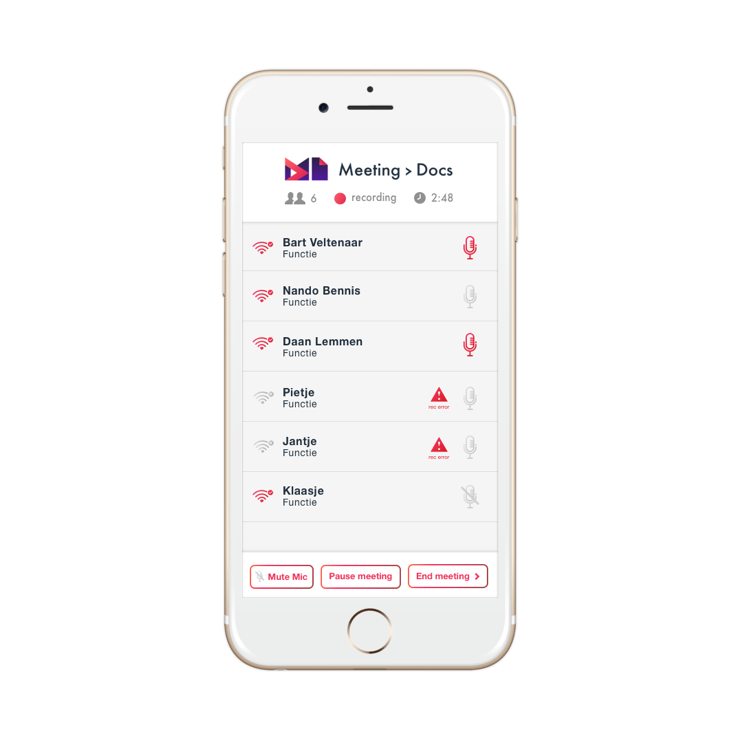 During the meeting , the screen of the App shows who (name, function) is talking….in real-time, for all participants on his own screen. 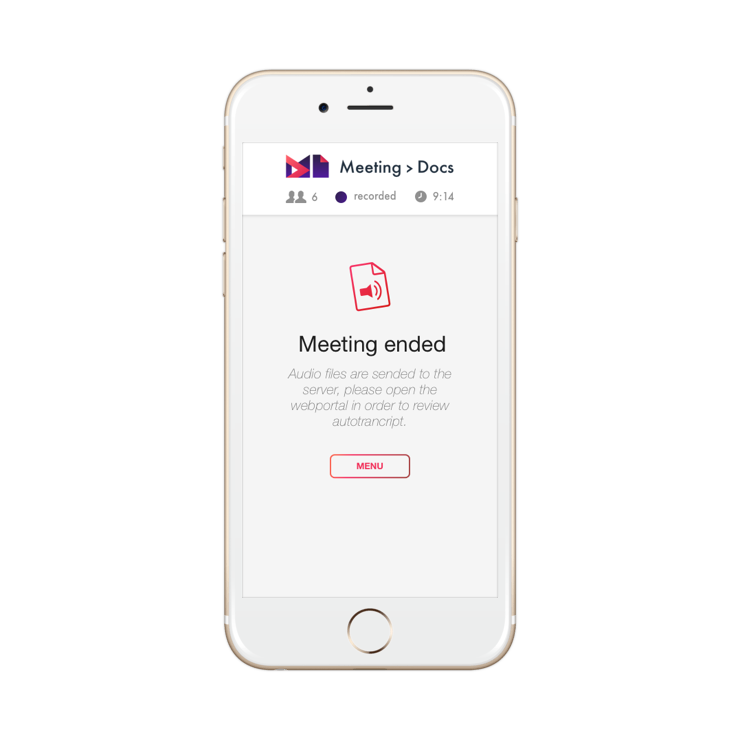 When the chair ends the meeting the recordings are sent to our Webportal, where the individual recordings are AutoTranscribed. The Speech-to-Text engine produces a transcription per participant thus per voice. The quality of the individual transcript is superb, compared to a transcription of multiple voices in one recording. The text-bytes are aligned in time and merged into one document, the AutoTranscript of the meeting. This AutoTranscript is good – but not perfect. You may edit the AutoTranscript manually, using the editor on our Webportal and while listening to the original audio. 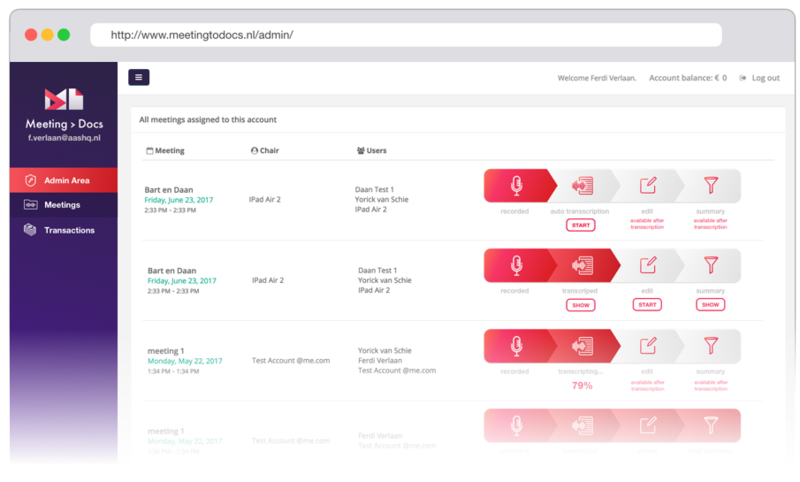 Finally you may create the minutes or notes of the meeting by copy-pasting parts of the transcript, also facilitated on our Webportal. 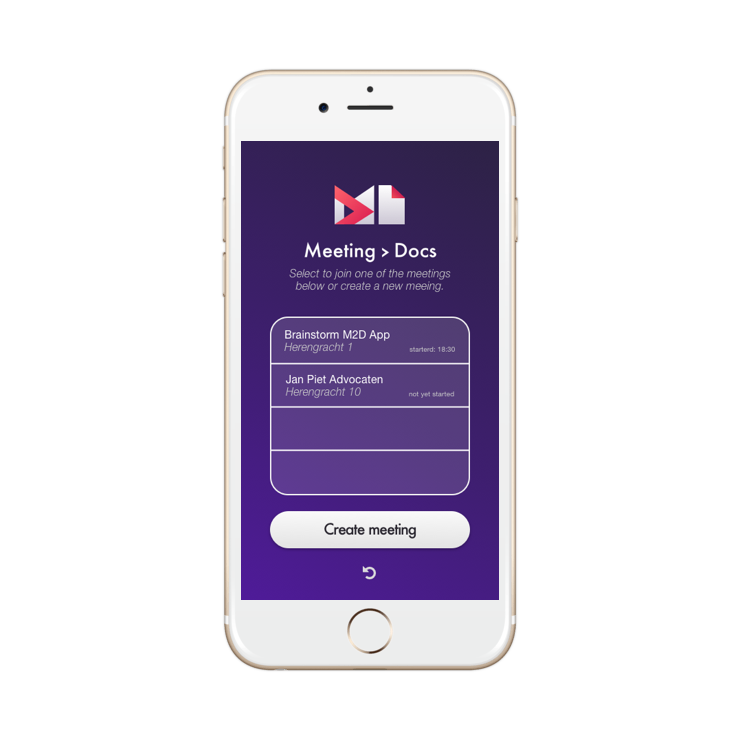 All the thus created documents can be Emailed to participant and third parties involved. Saves a lot of time and effort. The original recordings are always at hand: who said what… when…exactly….it’s beyond doubt, with MeetingtoDocs.